Check out the MUA 2 Demo! "The Largest Army of Super Heroes is back! Mercenaries are attacking the Capitol in Washington D.C. and it is up to you and your team of Super Heroes to defend it. Thwart the enemy offensive with immensely destructive powers and new fusion combinations. Select your team of four from an exciting array of Super Heroes, including Captain America, Iron Man, Spider-Man, Wolverine, Hulk, and more. 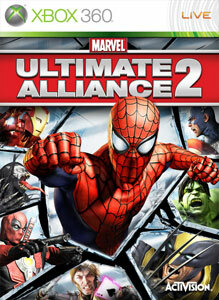 Test your mettle as you enter the world of Marvel: Ultimate Alliance 2! For all levels, deeper RPG action and the entire roster of over 24 playable heroes and villains, buy your copy in September 2009! Download the demo."